Cocktail sausages wrapped in a warm, flaky croissant blanket served straight from the oven - our version of pigs in blankets. Today these ones were a little over cooked. The one time I take photos I forget to turn off the grill before I pop the croissant dough in - opps! 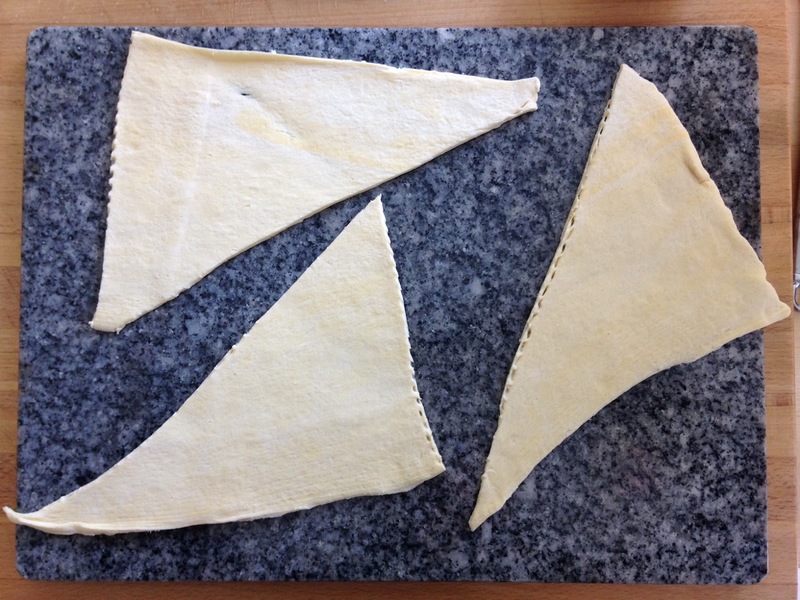 Pull open the pack and roll out the dough on a smooth flat surface or large chopping board. 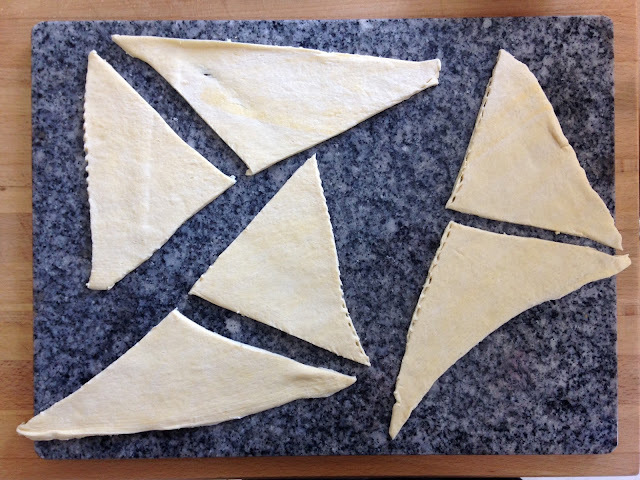 Carefully, using the lines as a guide, cut the dough apart. Cut each triangle in half, and then half again, so you have four small triangles per croissant portion. 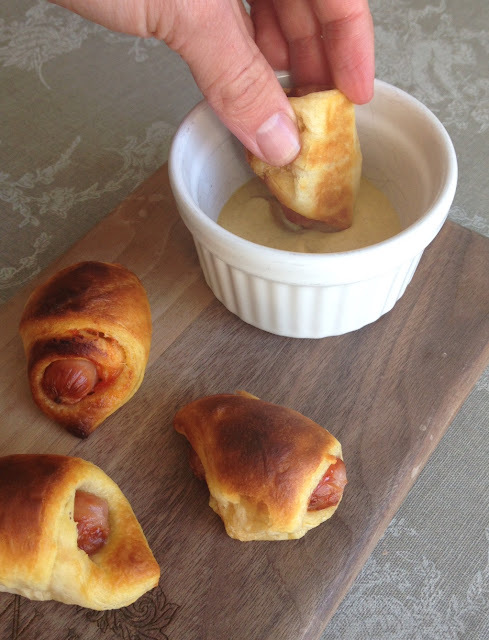 Brush each triangle with ketchup, then starting at the edge roll the dough around each pre-grilled cocktail sausage until it's all wrapped up - in a blanket - and you're left with a nice little croissant shaped creation. Pop in the oven on a baking tray lined with grease-proof paper and bake for 10 - 12 minutes until golden. 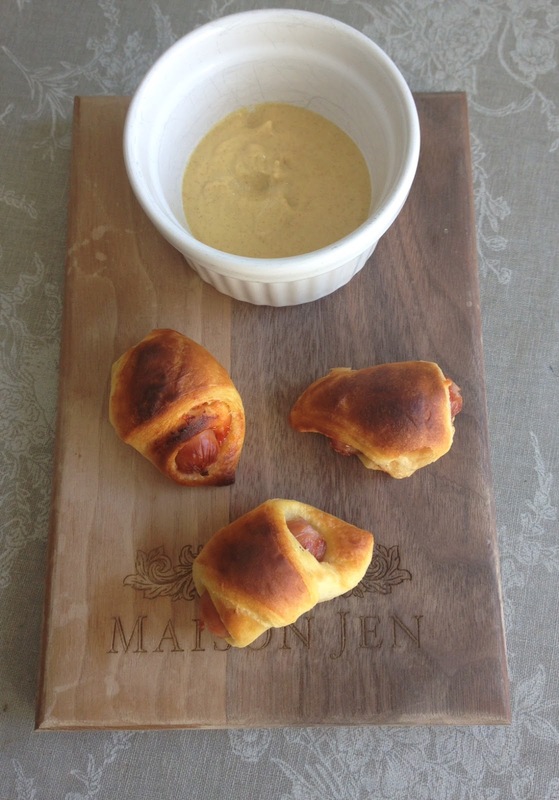 Serve with mustard to dunk.